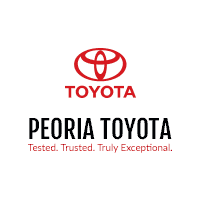 Peoria Toyota is sponsoring a Lip Sync Battle for the Special Olympics of Illinois! The battle is happening Thursday, August 9th, 6pm – 9pm at Mackinaw Valley Vineyard. third annual Lip Sync Battle featuring Central Illinois celebrities who will “sing” their hearts out against other local celebrities to raise money and awareness for our Region G athletes and their families. Lip Sync contestants will perform to one of their favorite songs for the audience, who will in turn vote for their favorite acts with a donation. They are encouraged to wear costumes and can invite friends or family to be their backup singers/dancers! In addition, Best Costume, Best Performance and Best LETR/First Responder awards will be handed out. Mackinaw Valley Vineyard will be selling soft drinks, water, tea, wine, beer and hard liquor selections throughout the evening. No outside beverages of any kind are allowed. Audience members are urged to bring lawn chairs or blankets on which to sit during the performances.